This entry was posted in Alberta Politics and tagged Alberta Family Day, Alberta History, Bob Hawkesworth, Don Braid, Don Getty, Laurence Decore, Ray Martin on February 20, 2017 by Dave Cournoyer. As the fall Legislative session ends and MLAs prepare to return home to their constituencies for the holiday season, Premier Rachel Notley announced big changes in the senior ranks of her political office. Gone is Brian Topp, the veteran political operative who became Ms. Notley’s Chief of Staff after the NDP formed government in 2015. He is reportedly becoming a fellow with the Ottawa-based Public Policy Forum. 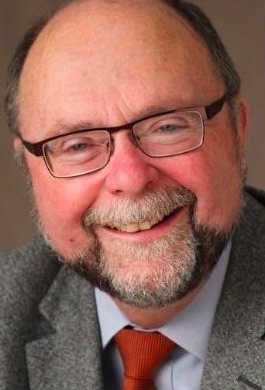 Mr. Topp is replaced by John Heaney, a former British Columbia NDP political operative who served as Chief of Staff to John Horgan until moving east to Alberta last year. 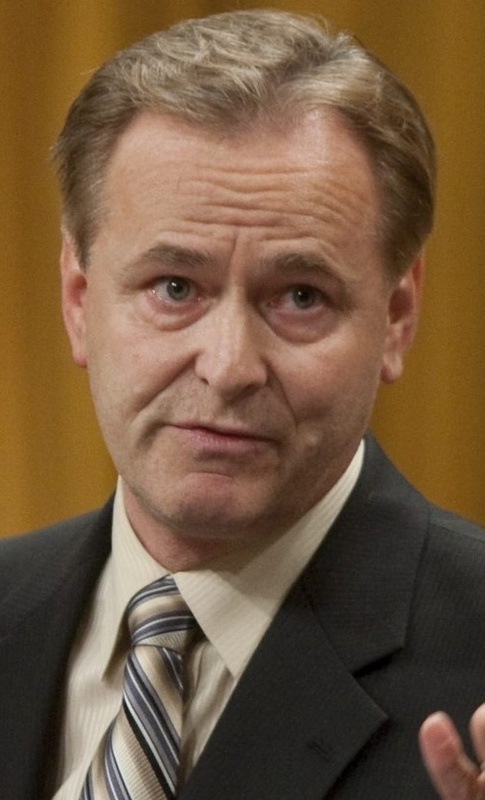 He was filling the role as Alberta’s policy czar as Deputy Minister of the Policy Coordination Office. Former federal NDP campaign manager Anne McGrath, who was hired as Ms. Notley’s Principal Secretary after the 2015 federal election, moves south to run the Premier’s Calgary office at the McDougall Centre. 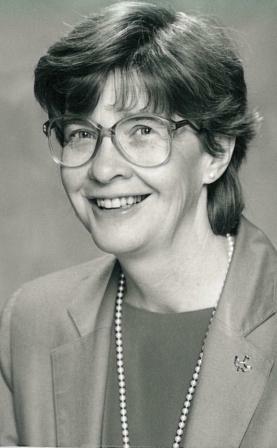 Ms. McGrath, who lived in the city and studied at the University of Calgary, replaces former alderman and MLA Bob Hawkesworth as Executive Director. It is hard to interpret this move as anything but a demotion. 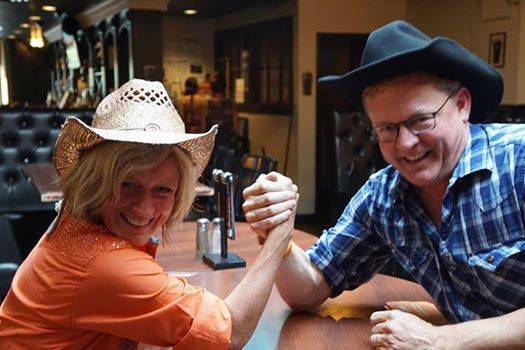 But the addition of Calgary-North West MLA Sandra Jansen to the government caucus, placing a campaign manager in the role could signal that the NDP are beginning to realize the need to shore up support in Alberta’s largest city before the next election. Back in Edmonton, Ms. McGrath will be replaced by ministerial chief of staff and former BC NDP advisor Jim Rutkowski, who rounds up the group of recently imported BC NDP operatives now filling the two most powerful political jobs in Alberta. Alberta’s NDP government has pursued an aggressive policy and legislative agenda since defeating the 44-year old Progressive Conservative regime in May 2015. And while the economic recession caused by the decline in the international price of oil has created significant challenges, it has not slowed down the political agenda. The recent approval of two oil pipelines suggests the NDP government flagship Climate Leadership Plan is already achieving political results for the province but the political battle over the carbon tax and phase of dirty coal fired power plants will continue into 2017. It is too soon to tell what today’s staff changes will mean or how they will impact how the NDP government operates. The NDP focused on introducing policy and legislative changes during its first year in office, and now the government will need to shift political gears as it moves to implement its ambitious Alberta-changing policy goals. This entry was posted in Alberta Politics and tagged Alberta Premier's Office, Anne McGrath, Bob Hawkesworth, Brian Topp, Calgary-North West, Climate Leadership Plan, Jim Rutkowski, John Heaney, John Horgan, Public Policy Forum, Rachel Notley, Sandra Jansen on December 14, 2016 by Dave Cournoyer. In the past, the media and political watchers would pay little attention to a provincial convention held by Alberta’s New Democratic Party. It is expected that all media and political watchers will be paying close attention to the debate at the NDP’s convention in Calgary next weekend. Back in 2009, during a stint as a freelance writer, I covered the NDP convention for the now-defunct alt-weekly known as SEE Magazine. I may have been the only media representative actually in attendance at the convention. That weekend in 2009, in a dim-lit windowless ballroom in a downtown Edmonton hotel the most contentious topic of debate was a proposal from a small group of New Democrat founders of the Democratic Renewal Project. The DRP advocated the creation of an electoral arrangement or cooperation agreement between the NDP and the Liberal Party to prevent vote splitting by progressive voters. Both opposition parties had major loses in the previous year’s election, with the NDP dropping from four to two MLAs. The ideas put forward by the DRP sounded sensible to me at the time but were soundly rejected by conference delegates. Seven years later, the NDP are no longer debating vote splitting or electoral agreements. 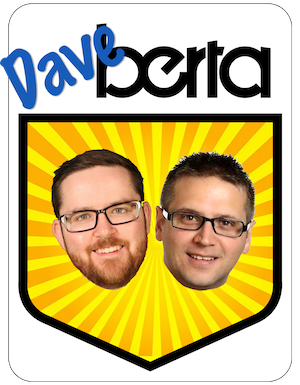 They are holding their first convention as Alberta’s governing party after their win in the 2015 provincial election. Instead of a dingy hotel in downtown Edmonton, this year’s convention will be held on June 10, 11 and 12, 2016 at the swanky Hyatt Regency in downtown Calgary. Along with 54 NDP MLAs in attendance, the convention will feature keynote speeches from the Edmonton Oilers‘ Andrew Ference on Jobs and Diversification, Pembina Institute executive director Ed Whittingham on Climate Leadership, Ontario NDP MPP Jagmeet Singh on Diversity and Reducing Inequality, and Alberta Federation of Labour president Gil McGowan on Labour issues. This will be the first NDP convention in recent memory that the mainstream media will pay much attention to and with that in mind, the party’s leadership will do their best to turn the weekend into a celebration of the NDP’s 2015 election win and accomplishments in its first year of government. The weekend includes a $200 a plate banquet and a party at the Glenbow Museum featuring Scenic Route to Alaska, The Northwest Passage and Los Moreno’s. It feels far from the dim-lit windowless hotel ballroom in downtown Edmonton but that does not mean it will be without its acrimonious moments. A group of party activists unhappy with NDP MLA’s support of a Wildrose Party motion calling on the federal government to scrap a planned moratorium on tankers on Canada’s Pacific coastal waters are expected to spearhead a debate on whether the motion goes against against a party policy opposing the Enbridge Corporation’s proposed Northern Gateway Pipeline passed at a previous convention. There may also be debate about changing the role of organizational affiliates in the NDP. Unlike other provincial political parties, the NDP allows organizations to affiliate with their party in order to have a greater say in their leadership votes and at conventions. These affiliates are almost always labour unions but as unions are no longer allowed to donate to political parties or pay for delegates to attend conventions, the previous existing advantages for the party and affiliate no longer exists. I am told that before the NDP banned corporate and union donations in the first law they passed in 2015, affiliated unions donated 15-cents per member per-month to the party. Delegates will also be voting in elections for the party’s provincial executive. For some reason that is unknown and puzzling, the NDP is the only provincial political party in Alberta that does not list the names of its executive or board of directors on its website. Perhaps this will change now that the NDP is the province’s governing party. President: Teacher and president of the party’s Edmonton-Beverly-Clareview constituency association Peggy Wright is the only candidate to have entered the presidential election. The position was made vacant when former president Chris O’Halloran, who had served as president since 2013, stepped down to start a job in the Premier’s Southern Alberta office at the McDougall Centre in Calgary. First Vice-President: Two candidates are running for this position: labour activist and United Nurses of Alberta Labour Relations Officer Jason Rockwell and lawyer and past candidate Anne Wilson. Mr. Rockwell ran as an NDP candidate in the 2006 federal election in the Edmonton-Spruce Grove riding. Ms. Wilson ran as a provincial NDP candidate in 2008 in Banff-Cochrane and 2015 in Calgary-Foothills (against Progressive Conservative leader Jim Prentice). In July 2015 she ran for the NDP nomination for the Calgary-Foothills by-election but was defeated by former alderman Bob Hawkesworth. 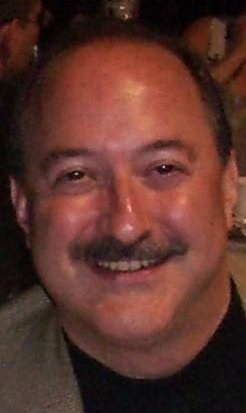 Second Vice-President: It appears that Lou Arab may be acclaimed in his bid for re-election. Mr. Arab is a near-legendary campaign manager in NDP circles for his role in the election campaigns of Marlin Schmidt in 2012 and 2015 and Sarah Hoffman in 2010. He is a Communications Representative with the Canadian Union of Public Employees – Alberta and also happens to be the husband of Premier Rachel Notley. Treasurer: Siobhan Vipond, the Secretary-Treasurer of the AFL, is running for re-election and does not appear to be facing any challengers at this time. I am told that more than 500 delegates have registered to attend the Calgary convention. This entry was posted in Alberta Politics and tagged Alberta Federation of Labour, Alberta NDP, Andrew Ference, Anne Wilson, Bob Hawkesworth, Chris O’Halloran, Democratic Renewal Project, Ed Whittingham, Edmonton Oilers, Enbridge Northern Gateway Pipeline, Gil McGowan, Hyatt Regency, Jagmeet Singh, Jason Rockwell, Jim Prentice, Los Moreno’s, Lou Arab, NDP Elections, Peggy Wright, Pembina Institute, Rachel Notley, Scenic Route to Alaska, SEE Magazine, Siobhan Vipond, The Northwest Passage on June 5, 2016 by Dave Cournoyer. The second by-election since Alberta’s May 2015 election will be held on March 22, 2016 in the northeast Calgary constituency of Calgary-Greenway. With the re-election of Manmeet Bhullar, this constituency was one of eight in Calgary to elect a Progressive Conservative candidate in that election. His death in November 2015 triggered this by-election. By-elections can produce unexpected results. While they are important snapshots of the political mood of an electorate at a certain point in time, the results can be poor indicators of outcomes of future general elections. 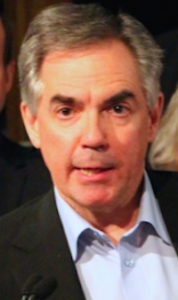 In October 2014, four by-election wins by the PC Party made Premier Jim Prentice look like a political juggernaut. His party was swept out of office by Rachel Notley’s New Democratic Party seven months later. 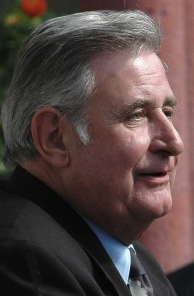 A by-election win by the Wildrose Party in 2009 did not produce a Danielle Smith-led government in 2012 and an important by-election win by the Liberals in Ralph Klein’s Calgary-Elbow constituency in 2007 also ended up being a false start for that party in the next election. Last year’s by-election in Calgary-Foothills, triggered by Mr. Prentice’s election night resignation, was the first in Alberta’s dramatically new political environment. The NDP poured significant resources in their campaign to elect former MLA Bob Hawkesworth and his loss to Wildroser Prasad Panda was a blow to the NDP, which is likely why the NDP appear to have done a better job managing expectations for Roop Rai‘s campaign in Greenway. Alternatively, the Calgary-Greenway by-election is a must-win for the PC Party, which has dropped down to eight MLAs from 70 MLAs before the 2015 election. PC candidate Prab Gill needs to retain this by-election to signal his party will continue to be a viable alternative to the NDP. A win by the PC Party would also throw a wrench into the plans of the official opposition Wildrose Party, which has been aggressively attacking the new NDP government since it took office less than a year ago. A Wildrose win might be a final nail in the coffin of the PC Party. A win by the Liberals would be, well, unexpected. One poll, released by Mainstreet Research on March 12, projected a four-way race between the PC Party, NDP, Wildrose and Liberals. Unlike most of the 44-years of PC Party government, Albertans no longer live in a political environment where we can expect the governing party to win every seat. And that’s a good thing. This entry was posted in Alberta Politics and tagged Bob Hawkesworth, Calgary-Elbow by-election, Calgary-Foothills by-election, Calgary-Greenway by-election, Devinder Toor, Jim Prentice, Khalil Karbani, Larry Heather, Prab Gill, Prasad Panda, Rachel Notley, Ralph Klein, Roop Rai, Said Abdulbaki, Sukhi Rai, Thana Boonlert on March 20, 2016 by Dave Cournoyer. What about Bob? Hawkesworth swoops into top political job. 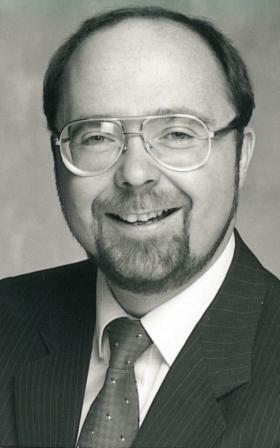 Mr. Hawkesworth is a familiar name in Calgary politics, having served on city council from 1980 to 1986 and 1993 to 2010, and as the NDP MLA for Calgary-Mountain View from 1986 to 1993. But his long career in municipal politics ended with a flame out. When faced with dwindling support in his bid for mayor in 2010, the respected alderman known for his ‘nice guy’ image launched a blistering negative attack on Naheed Nenshi before dropping out and endorsing Barb Higgins (his name still appeared on the ballot – he earned 1,513 votes). The negativity and surprised endorsements had many Calgarians scratching their heads in confusion. He attempted a return to provincial politics in a September 2015 by-election but was defeated by Wildrose candidate Prasad Panda. Reaction from the opposition parties to his appointment this weekend was surprisingly mixed. Rimbey-Rocky Mountain House-Sundre Wildrose MLA Jason Nixon attacked the announcement as “a patronage appointment while Albertans across the province are hurting.” It seemed odd that the Wildrose caucus did not choose their only MLA from Calgary, Mr. Panda, to respond to the appointment. Maybe they are still preparing themselves for the rigours of a 9:00 a.m. start time? Was this appointment based on political connections? It is hard to argue it is not. We can expect Ms. Notley to hire who she knows and who she trusts to these top positions. 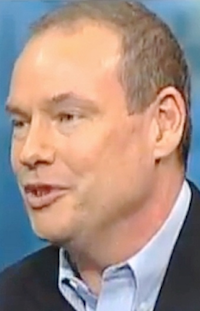 Mr. Hawkesworth might be the most well-connected and well-known partisan New Democrat in Calgary (Finance Minister Joe Ceci, another former alderman, might be the only other Calgary New Democrat as well connected). And he did earn endorsements from a number of conservatives during his by-election bid, including Councillor Diane Colley-Urquhart, former PC MLA Gordon Shrake and former mayor Rod Sykes. This appointment of a long-time party loyaltist also signals that the NDP don’t have a broadly developed network of fresh talent to draw from in Calgary and southern Alberta, which may explain the large number of out-of-province hires. Many Calgary progressives I speak with regularily, some who are affiliated with Mr. Nenshi’s mayoral campaigns, are completely unfamiliar with the NDP’s political networks in their city, mostly because these networks are just now being built. Despite electing 15 MLAs in Calgary, the NDP only earned 35 percent of the city-wide vote in the May 2015 election. It will largely depend on these 15 MLAs in Calgary and their colleagues in Banff-Cochrane, Lethbridge and Medicine Hat to develop those networks through the work they do on the ground in their constituencies over the next four years. The appointment of Mr. Hawkesworth does raise the question about Ms. Notley’s pledge to operate differently than the old PC government. In fact, only a few months ago, the NDP government publicly fired and criticized former Alberta representative in Washington D.C. Rob Merrifield for being a political appointee. Mr. Merrifield was a partisan political appointee, hired by former Premier Jim Prentice, because he knew him and believed he could trust him to do a good job. Just as I am sure Ms. Notley knows and believes she can trust Mr. Hawkesworth to do a good job running the Premier’s office in at the McDougall Centre. This entry was posted in Alberta Politics and tagged Alberta NDP, Alberta representative in Washington D.C., Banff-Cochrane, Barb Higgins, Bob Hawkesworth, Calgary-Fish Creek, Calgary-Foothills by-election, Calgary-Mountain View, Diane Colley-Urquhart, Gordon Shrake, Jason Nixon, Jim Prentice, Joe Ceci, Lethbridge, McDougall Centre, Medicine Hat, Naheed Nenshi, Prasad Panda, Richard Gotfried, Rob Merrifield, Rod Sykes, Sunder-Rocky Mountain House-Rimbey on November 9, 2015 by Dave Cournoyer. 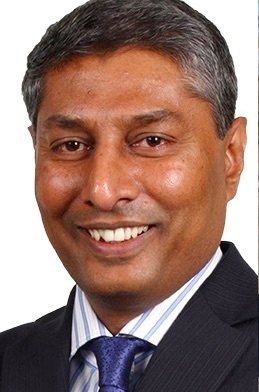 Wildrose Party candidate Prasad Panda became his party’s only MLA from Calgary with a fairly decisive win in yesterday’s by-election in Calgary-Foothills, stealing the constituency away from the Progressive Conservatives. PC candidate Blair Houston finished third in the constituency that elected former Premier Jim Prentice in another by-election ten months ago and in a general election only four months ago. 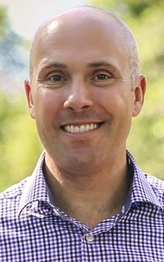 The New Democrats mounted what appeared to be a strong campaign with candidate Bob Hawkesworth, but the governing party was only able to finish with second place in the by-election. The NDP lost some ground in this by-election, holding 25.7 percent of the vote compared to the 32.3 percent earned by candidate Anne Wilson in the May 5, 2015 general election but still significantly more than the 3.7 percent earned by the NDP candidate in the October 2014 by-election. The results suggest that the NDP “orange chinook” from May 2015 has not completely dissipated as some would have argued and that NDP have developed a base of support in the city that was non-existent only a few months ago. An NDP loss in this by-election would not have been a notable outcome had that party not intentionally raised the stakes of the results by pouring significant resources into the campaign, including high-profile endorsements of Mr. Hawkesworth and at least three campaign visits by Premier Rachel Notley. The loss does not spell the end of the NDP in Calgary but it does demonstrate that the party faces strong conservative opposition in the city, which should come as a surprise to no one. Media commentaries will likely frame the Wildrose win as a rebuke of NDP policies in Calgary-Foothills, which it was, but at a more interesting level the results of this by-election are reflective of the divide between the Wildrose and the PC Party. While the electoral outcomes were different from the last election, the percentages of the combined PC and Wildrose votes were 59.8 percent, up slightly from their combined vote of 58 percent in May 2015. This is a major decline from the October 2014 by-election, when the two conservative parties dominated with a combined 88 percent of the vote. The Wildrose caucus will now grow from 21 to 22 MLAs, making it the largest official opposition since the Liberals had 31 MLAs in the early-1990s. The PCs have 9 MLAs in the Legislature. This entry was posted in Alberta Politics and tagged Ali Bin Zahid, Anne Wilson, Antoni Grochowski, Blair Houston, Bob Hawkesworth, Calgary-Foothills by-election, Janet Keeping, Jim Prentice, Mark Taylor, Prasad Panda, Rachel Notley on September 4, 2015 by Dave Cournoyer. Today’s by-election in Calgary-Foothills is the first major litmus test for Alberta’s political parties in the post-Progressive Conservative political world. After forty-four years of PC Party-government in Alberta end earlier this year, politics in this province could still be in flux. 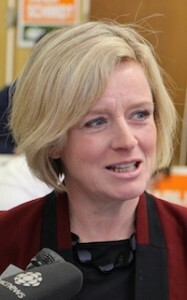 When Rachel Notley led NDP candidates to victory in fifteen constituencies in the city on May 5, 2015, the “Orange Wave” broke at the boundaries of Calgary-Foothills as conservative voters re-elected Progressive Conservative leader Jim Prentice as their MLA (Mr. Prentice the triggered the by-election when he resigned as MLA on election night). Despite considerable conservative strength in Calgary-Foothills, the NDP have willingly turned low expectations into high stakes by pouring significant resources into this by-election. Ms. Notley has personally visited the constituency at least three times to campaign alongside Bob Hawkesworth, a well-known candidate with thirty-years of experience in municipal and provincial office in Calgary. Mr. Hawkesworth’s campaign has released impressive endorsements from some unlikely figures – former Calgary Mayor Rod Sykes, former PC MLA Gordon Shrake, former Liberal candidate Brian Edy, and current city councillors Diane Colley-Urquhart and Druh Farrell – to demonstrate a broad support for his candidacy. Talk in political circles is that he would be a shoe-in for a cabinet spot if elected, maybe as Minister of Minister of Jobs, Skills, Training and Labour or Minister of Infrastructure. But the decline of the international price of oil and recent energy-sector layoffs may have voters in this constituency sticking with their conservative options. The opposition parties have been quick to blame NDP plans to review resource royalties for making the economic situation worse. The war of words in the by-election got nasty after it was discovered that a Chinese-language pamphlet circulated by Wildrose Party candidate Prasad Panda’s campaign accused the NDP of being communists. The Wildrose campaign claimed the translation was unintentional but it is difficult to believe this would be a mistake. There is a reason why the communist message was only included in the Chinese-language material. According to data from the 2011 National Household Survey, 12.4% of homes in Calgary-Foothills identify Chinese as their household language and 24.1% of the population in the constituency is of Chinese ethnic origin. The presence of an increasingly depressing PC Party, represented by candidate Blair Houston could spoil an easy Wildrose victory. Mr. Houston’s campaign material claims that “only the moderate can defeat the extremes,” sending a strong message that there is still significant distrust between the two conservative parties. The split between Wildrose and PC conservatives is evident among conservative activists on the internet. An army of Wildrose twitterati launched online attacks yesterday against Calgary-North West PC MLA Sandra Jansen for her support of former television news anchor Nirmala Naidoo, who is running as the federal Liberal candidate in Calgary-Rocky Ridge, which overlaps with the Calgary-Foothills constituency. 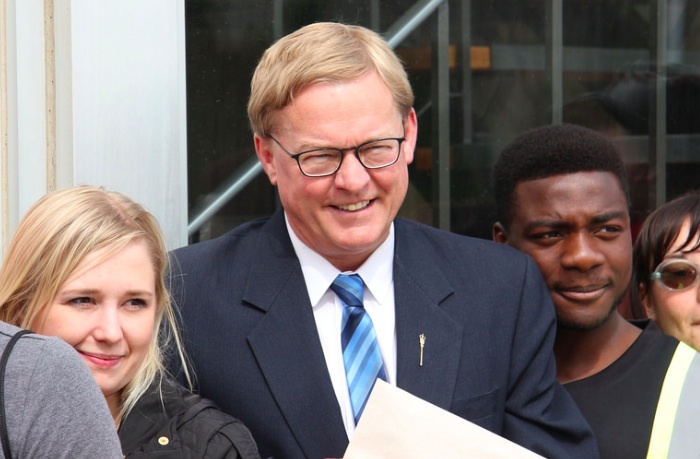 Ms. Jansen responded that she is not a member of the federal Conservative Party and is under no obligation to support their candidates (her pragmatic reply is unlikely to appease her Wildrose critics). As litmus tests, by-elections can be indicators of citizens approval or disapproval of a governing party at a given time, but by-election results are not necessarily indicators of how voters will cast their ballots in the future. 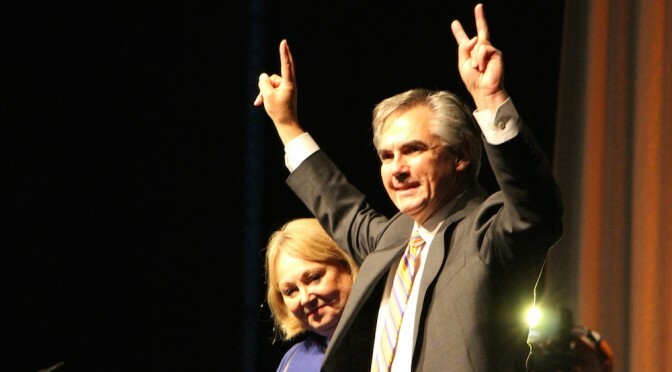 The Progressive Conservatives swept four by-elections in October 2014, including one in Calgary-Foothills, leading many political observers to believe that Mr. Prentice was an unstoppable political juggernaut. Only ten months later, Mr. Prentice is gone, the NDP have a majority government, the Wildrose rebounded into official opposition and Alberta has been thrown into a new political reality. It is anyone’s guess what comes next after today’s by-election in Calgary-Foothills. Unofficial results from today’s by-election will appear on the Elections Alberta website after 8:00 p.m. This entry was posted in Alberta Politics and tagged Blair Houston, Bob Hawkesworth, Brian Edy, Brian Jean, Calgary-Foothills, Calgary-Foothills by-election, Calgary-North West, Calgary-Rocky Ridge, Communism, Diane Colley-Urquhart, Druh Farrell, Gordon Shrake, Jim Prentice, Nirmala Naidoo, Prasad Panda, Rachel Notley, Rod Sykes, Sandra Jansen on September 3, 2015 by Dave Cournoyer. Calgary-Foothills by-election vote on Sept 3. Here’s what the parties are saying. Taking place in the backdrop of a federal election, the September 3 provincial by-election in the Calgary-Foothills constituency could have a profound impact on the federal election in Alberta. A win by the NDP would almost certainly boost momentum for the federal NDP in Alberta, a win by the Wildrose would solidify that party’s dominance over the third-place Progressive Conservatives, and a win by the PCs would be that party’s first sign of a pulse since its defeat in the May 2015 election. This is the third time voters in this constituency have gone to the polls to select a new MLA since October 2014, when PC leader Jim Prentice entered the Legislature. When it became clear the PC Party has lost the election on May 5, Mr. Prentice resigned as MLA before the votes were even finished being counted. New Democratic Party: Premier Rachel Notley was the guest of honour at NDP candidate Bob Hawkesworth campaign launch this weekend. 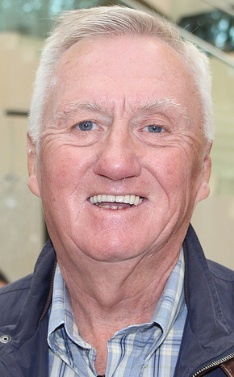 Mr. Hawkesworth is a well-known figure in Calgary politics, having served on city council from 1980 to 1986 and 1993 to 2010 and as MLA for Calgary-Mountain View from 1986 to 1993. He received a surprise endorsement last week from Alderman Diane Colley-Urquhart, who is a former PC Party candidate. Agreeing with calls from opposition parties, the NDP government committed to not making any government announcements in Calgary until after the by-election. This follows criticism levelled at the former PC government, which used its office for political gain to boost support for candidates in four 2014 by-elections. Progressive Conservative: The PCs have chosen past city council candidate and bar owner Blair Houston as their candidate. 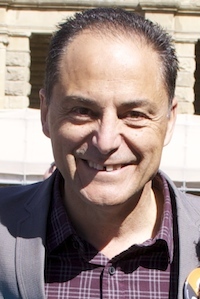 Before the 2015 provincial election, Mr. Houston ran for the PC nomination in Calgary-North West against incumbent MLA Sandra Jansen. Wildrose: The Wildrose Party nominated Prasad Panda as their candidate in a three-way contest with more than 700 Wildrose members voting in the nomination selection. Mr. Panda was the 2012 and 2015 Wildrose candidate in the neighbouring Calgary-Northern Hills constituency. 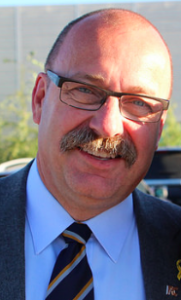 Alberta Party: Mark Taylor has been nominated to run as the Alberta Party candidate. 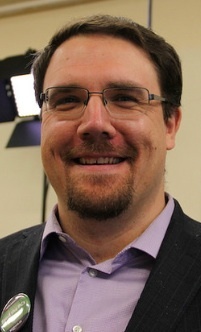 Mr. Taylor was President of the Wildrose Party’s Highwood association from 2012 until 2013 (at the time, the constituency was represented by Wildrose leader Danielle Smith). His campaign released an interview with a local business owner criticizing the NDP government’s 3-year phased increases of the minimum wage. Liberal: Candidate Ali Bin Zahid issued a press release urging the NDP government to delay their promised royalty review, which is being chaired by Alberta Treasury Branches CEO and President Dave Mowatt. “The last thing the people of Foothills want at this moment is another career politician who will contribute to the NDP’s stubborn determination to do this review now,” said Mr. Zahid. Green: Green Party leader Janet Keeping criticized the NDP for a lack of basic amenities in the Calgary-Foothills constituency and for an end to the political polarization in the debate about oilsands development. “Sustainability is about more than the physical environment. It is also about maintaining a healthy employment climate. 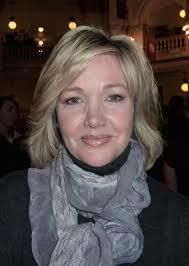 The rate of oilsands development should be reduced decisively but gradually,” said Ms. Keeping. This entry was posted in Alberta Politics and tagged Ali Bin Zahid, Blair Houston, Bob Hawkesworth, Calgary-Foothills by-election, Danielle Smith, Dave Mowatt, Diane Colley-Urquhart, Greg Clark, Janet Keeping, Mark Taylor, Prasad Panda, Rachel Notley, Sandra Jansen on August 17, 2015 by Dave Cournoyer. New Democratic Party: Past candidate Anne Wilson and former MLA and city councillor Bob Hawkesworth, are seeking the NDP nomination. 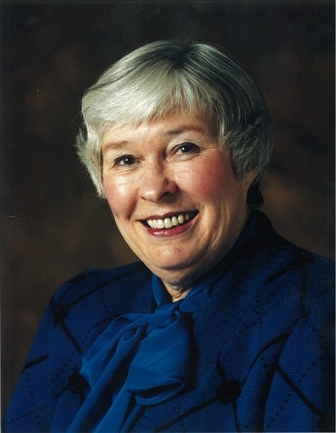 Ms. Wilson was the NDP candidate in the recent election and earned 32% of the vote. 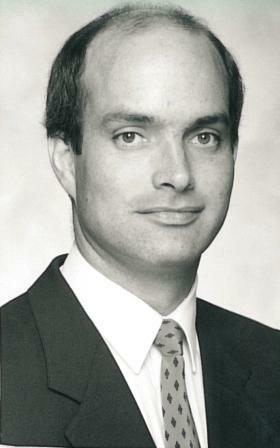 Mr. Hawkesworth represented Calgary-Mountain View from 1986 to 1993 and was elected as a city councillor for a ward south of the Foothills constituency. This will be the first electoral test faced by the new NDP government since Rachel Notley led them to victory on May 5. The nomination meeting has been scheduled for July 27, 2015. Wildrose: Retired police officer Kathy Macdonald will seek the Wildrose nomination. Ms. Macdonald placed second with 30% in the 2014 by-election in this constituency. Liberal: Ali Bin Zahid announced on Twitter that he would once again seek the Liberal Party nomination. He was that party’s candidate in the recent election and earned 7.2% of the vote. I’m pleased to announce that I will once again be seeking the nomination for @ABLiberal in the #yycfoothills by-election. I have not yet heard any rumours about who might seek the Progressive Conservative nomination. Voters in this constituency have elected PC MLAs since 1971 but following Mr. Prentice’s abrupt resignation in May 2015 they may not be sympathetic to the next PC candidate (who will now represent the third place party). Update: Green Party leader Janet Keeping has confirmed she will stand as a candidate in the Calgary-Foothills by-election. This entry was posted in Alberta Politics and tagged Ali Bin Zahid, Anne Wilson, Bob Hawkesworth, Calgary-Foothills by-election, Janet Keeping, Jim Prentice, Kathy Macdonald, Rachel Notley on July 2, 2015 by Dave Cournoyer. On June 15, 2015, Alberta’s new government will present its first Speech from the Throne. 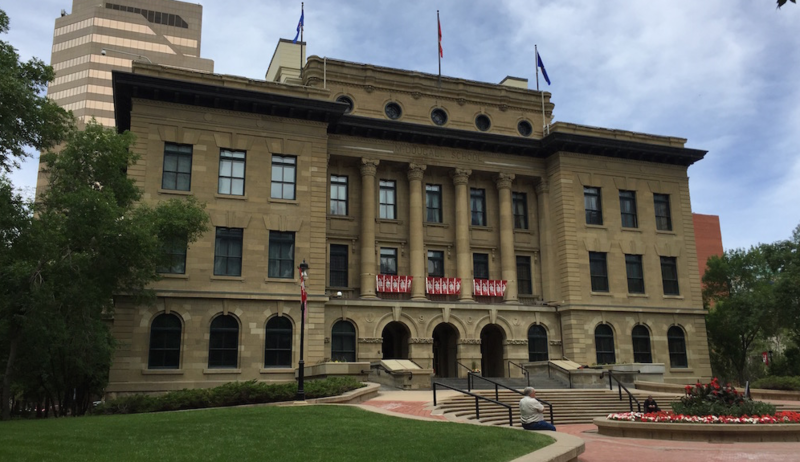 Read by new Lieutenant Governor Lois Mitchell, the speech will represent the first official major statement made by Premier Rachel Notley’s NDP government since its stunning election win on May 5. 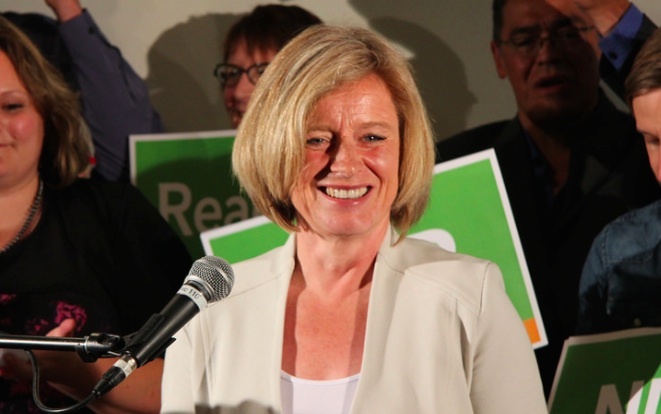 In an important lesson about how political fortunes can change, June 15 also marks the 22nd anniversary of Alberta’s 1993 provincial election, which marked the beginning of the Alberta NDP’s long march through the political wilderness. 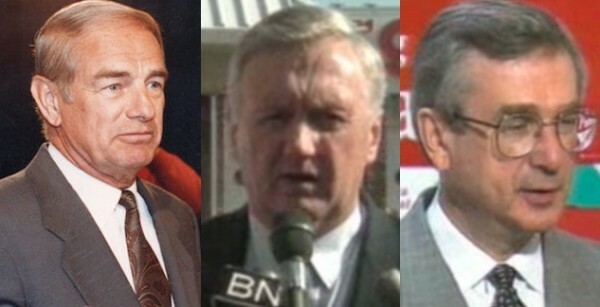 On June 15, 1993, the official opposition NDP led by Ray Martin saw their political fortunes plummet from 15 to zero MLAs in an election dominated by the Liberals led by former Edmonton mayor Laurence Decore and Progressive Conservatives led by former Calgary mayor Ralph Klein. The NDP regained a beachhead in the Legislature four years later and their tiny caucus spent the next eighteen years fluctuating between two and four MLAs before electing 54 MLAs in the historic 2015 election. Twenty-two years after Alberta’s Klein-era began, a populist centre-leftish New Democratic Party was elected with a majority government while promising prescriptions to heal much of the damage caused by the short-sighted slash and burn policies of Mr. Klein’s government. In contrast, the two parties that dominated Alberta’s political landscape 22 years ago today are decimated. After 44 years in power the PC Party has been relegated to opposition benches with 9 MLAs and the Liberals are searching for meaning with only one MLA left in the Assembly. With a clean slate and a fresh mandate, the first NDP throne speech will lay out the new government’s plans for its four year term as government, marking Alberta’s first change in government since 1971. The resignation of PC leader Jim Prentice on election night means that a by-election will need to be held in Calgary-Foothills within the next six months. 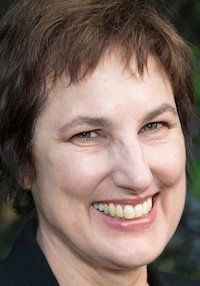 Lawyer Anne Wilson earned 32% while standing as the NDP candidate against Mr. Prentice in the recent election and has announced she is seeking the NDP nomination. A Facebook page has been created to draft former Calgary City Councillor and NDP MLA Bob Hawkesworth to seek the nomination. 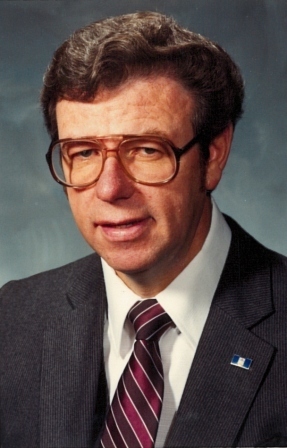 Mr. Hawkesworth served as a city councillor from 1980 to 1986 and 1994 to 2010, and as the NDP MLA for Calgary-Mountain View from 1986 to 1993 (in 1986 he defeated young PC candidate Mr. Prentice in his first electoral bid). Retired Calgary police officer Kathy MacDonald has expressed interest in seeking the Wildrose nomination in this by-election. 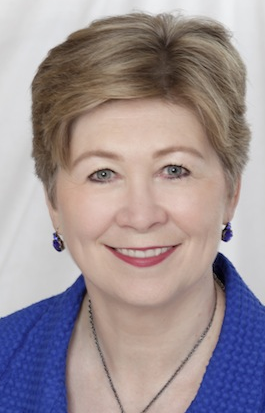 Ms. MacDonald was the Wildrose candidate in the October 2014 Calgary-Foothills by-election and general election candidate in the Calgary-Mackay-Nose Hill constituency. 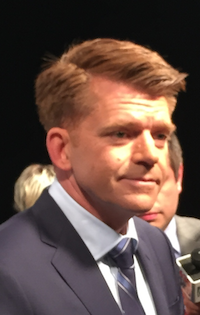 The Wildrose were unable to elect any candidates in Calgary in the May election. 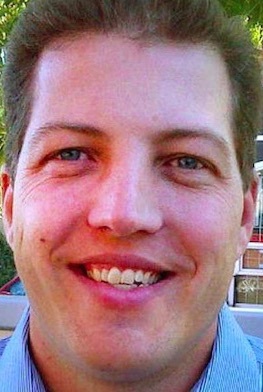 Beginning their own trek through the political wilderness, the PC Party has hired Calgary consultant and long-time party loyalist Troy Wason as interim managing director. Amid rumours that the long governing party is deep in debt, the PC Party announced shortly after the election that it was laying off most of its paid staff and could close down its offices in Calgary and Edmonton. This entry was posted in Alberta Politics and tagged Alberta's 1993 election, Anne Wilson, Bob Hawkesworth, Calgary-Foothills by-election, Kathy Macdonald, Laurence Decore, Lois Mitchell, Rachel Notley, Ralph Klein, Ray Martin, Troy Wason on June 15, 2015 by Dave Cournoyer. This entry was posted in Alberta Politics and tagged Alberta Family Day, Bettie Hewes, Bob Hawkesworth, Calgary-Mountian View, Clover Bar, Derek Fox, Don Braid, Don Getty, Don Tannas, Edmonton-Avonmore, Edmonton-Glengarry, Edmonton-Gold Bar, Edmonton-Norwood, Fort McMurra, Highwood, Kurt Gesell, Laurence Decore, Marie Laing, Norm Weiss, Ray Martin, Stettler, Vegreville, William Roberts on February 16, 2015 by Dave Cournoyer.